According to ProPaintball insiders, Jason “Fat Kid” Edwards of Tampa Bay Damage recently joined the police force and missed the first two events due to work. 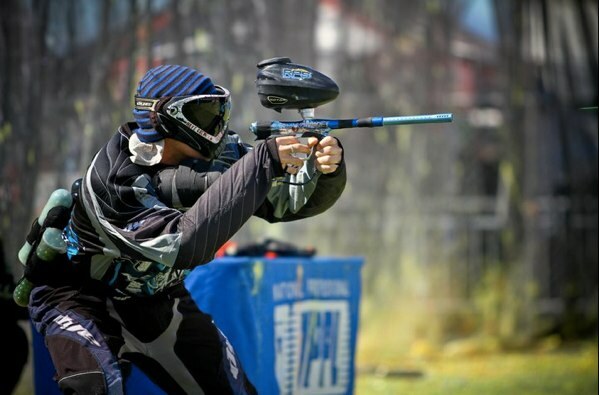 Although he missed HB and Galveston, Jason will be returning to the pro field for the Chicago paintball tournaments and playing the rest of the season with Tampa Bay Damage. Scott Kemp of the Los Angeles Ironmen filled in for Jason at Huntington Beach and will continue playing 7-man with Tampa Bay Damage. Be sure to check out Jason Edwards paintball PRO*File.